Fall is synonymous with apple picking season. Many of us have already picked plenty of apples or found some great apples tucked into our CSA box. I have found delicious apple selections at our local farmer’s market and grocery store. Eating an apple is such a great way to get a daily dose of fiber, potassium and folic acid. With so many fresh juicy apples gracing our kitchen fruit bowl, I’m always looking for interesting ways to help my children eat an apple a day. 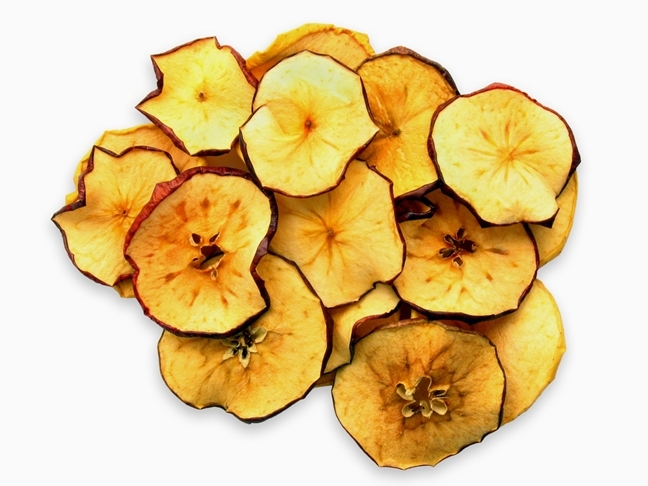 Recently I tried making apple chips and they were a huge hit among the kids and the adults. Use two baking sheets and line them with parchment paper (unbleached). Soak apple slices in lemon ice water for about 10 minutes. After soaking the apple slices remove from water and place on reusable towel and blot dry. Arrange apple slices on cookie sheet covered in parchment paper. Don’t overlap slices. Optional: sprinkle slices with sugar and cinnamon. Bake apple slices for about 2 ½-3 hours (mine took 3 1/4 hours, but my oven always takes a bit longer). The chips will feel dry and almost like paper when done. They will crisp once taken out of the oven and cooled.